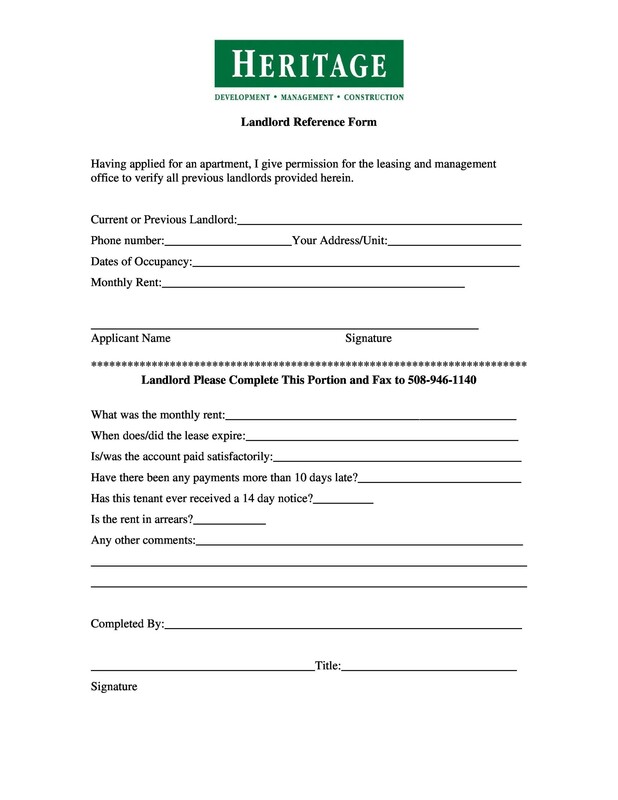 A landlord reference letter is usually written by a landlord at the request of the tenant. 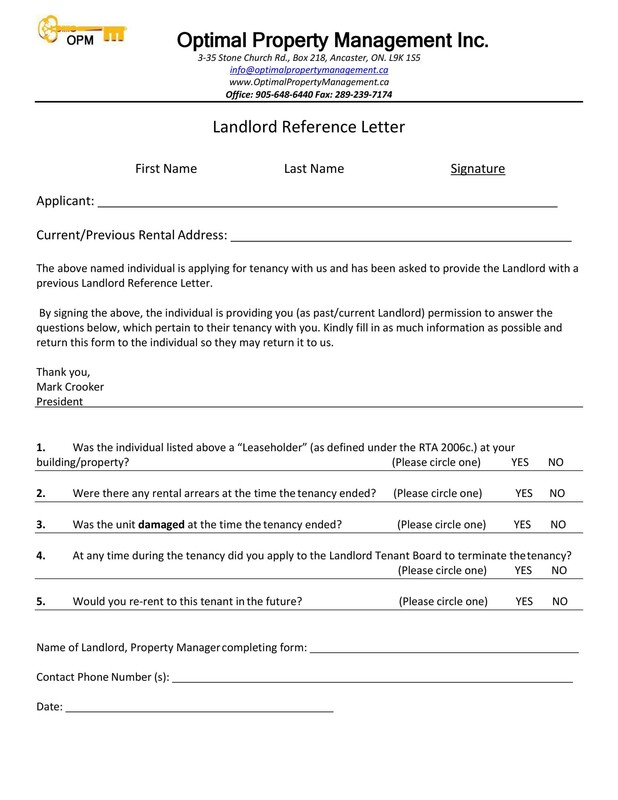 Such a letter can be used either as a proof of address of the tenant or for any other purpose related to residency. 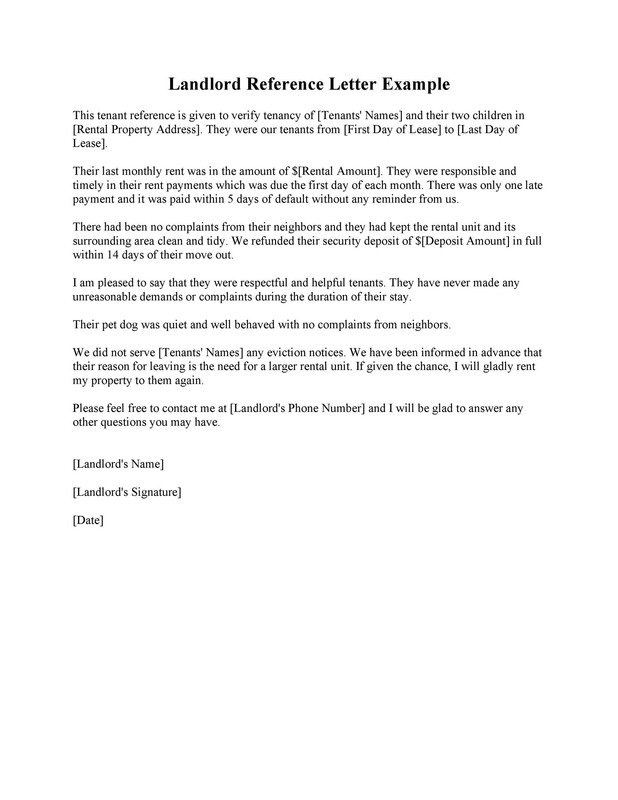 This letter contains all the relevant information regarding their agreement with the tenant about the rented property. It will also contain some information about the character of the tenant/s. 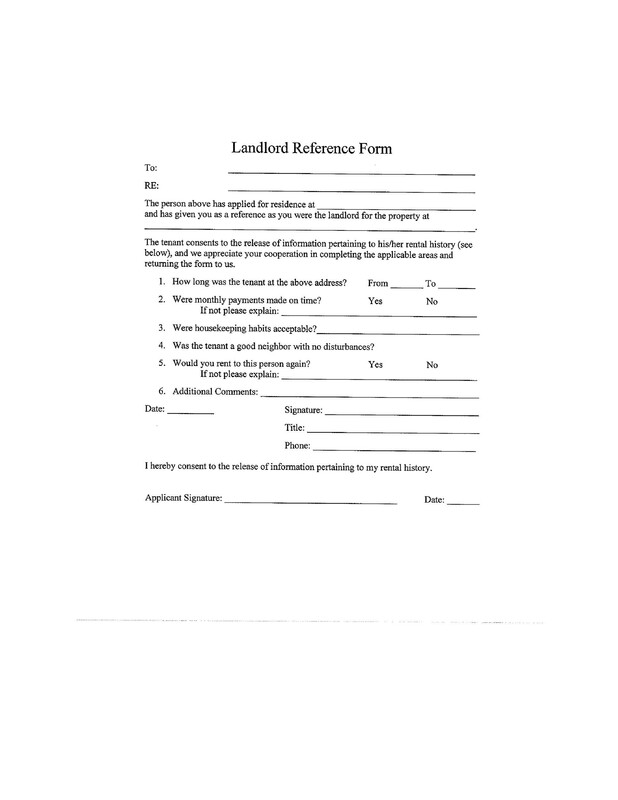 7 What Do a Landlord Reference Forms Contain? Making such a letter is quite easy since there is no standard format for it. As long as all the important information about the agreement and the tenant is in it, then the letter is an effective one. 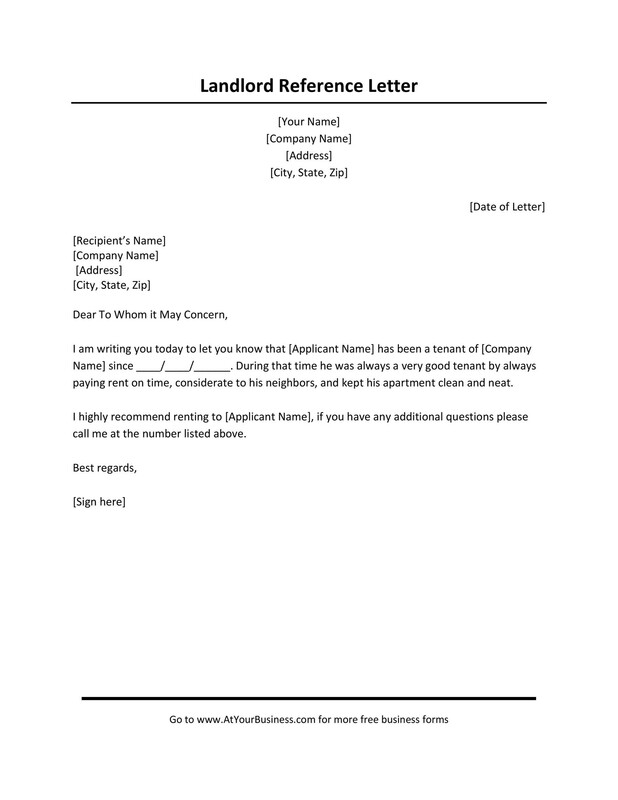 Actually, this kind of letter is most commonly used by a tenant if they are moving to a different apartment or home. 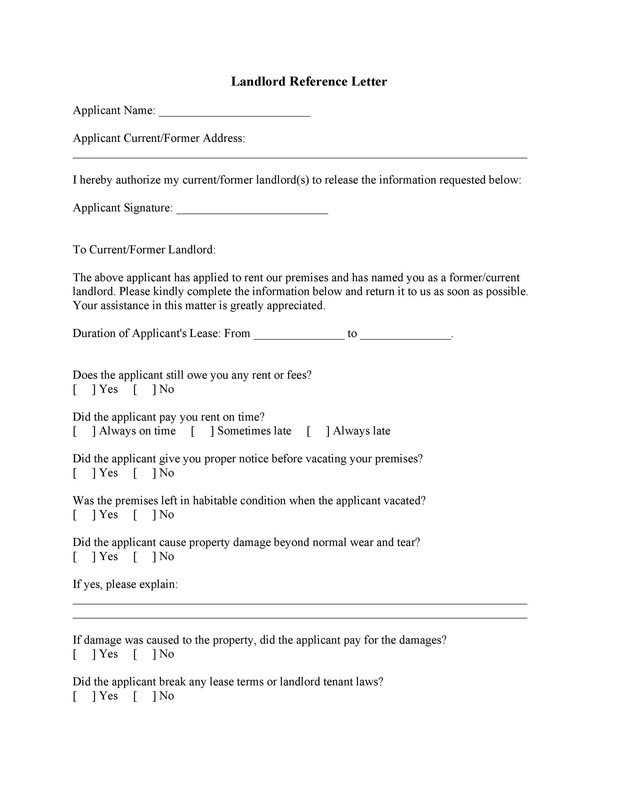 The landlord of the new property may require the letter from the previous landlord as verification that the renter will be an acceptable tenant. 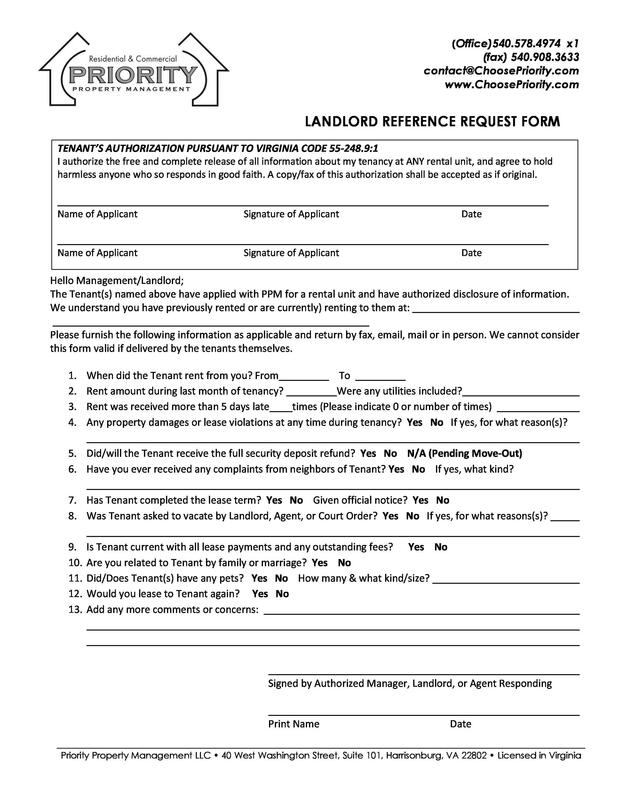 Only after the new landlord gets the reference letter from the landlord will the tenant be eligible to rent out the new property. 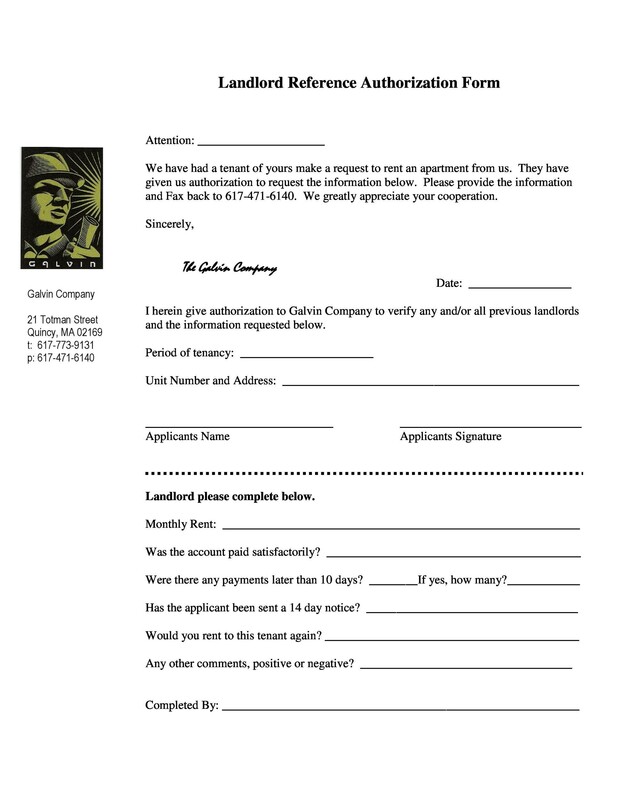 For whatever reason, you may be asked for a letter by your current or previous tenants. The actual writing of the letter isn’t very complicated, but sometimes landlords get confused in terms of what needs to be said. 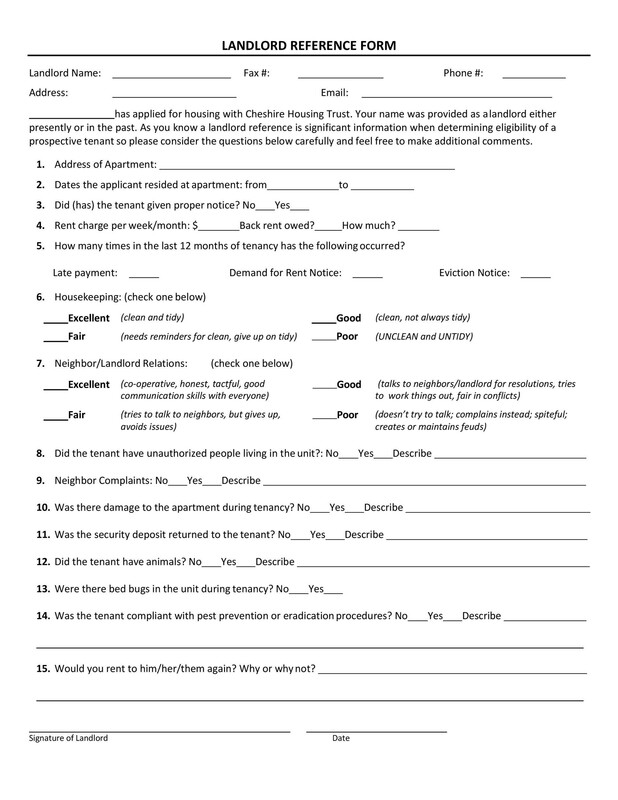 As a landlord, you will definitely be grateful if your tenants will provide you with an honest and complete rental referral for potential tenants. So you should be willing to do the same. When a tenant makes a request for such a letter from you, write is as directly and as honestly as you can, based on what you had experienced from the whole tenancy. 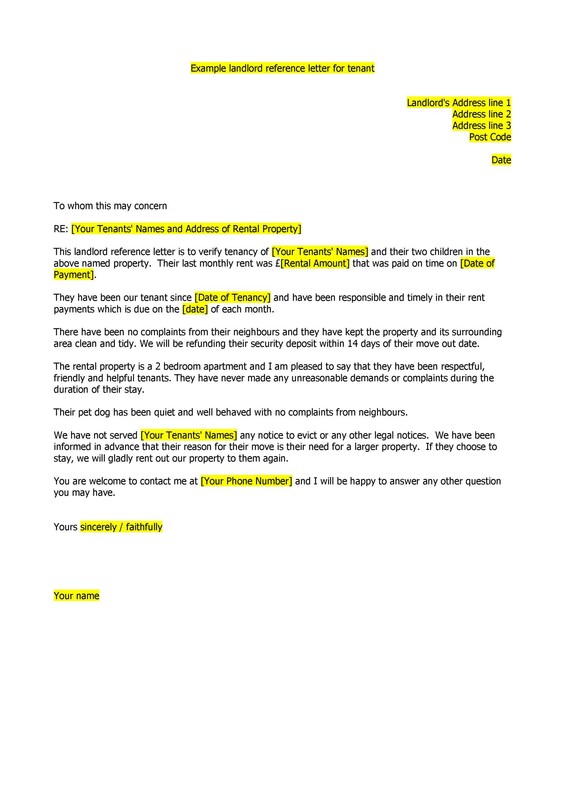 The letter should only contain facts which are related to the tenant and the actual tenancy. It should be factual and must not contain any subjective references. It’s also wise not to give out too much personal information about the tenant, especially if you know him/her well. It should only contain relevant information then you can end it with a short endorsement. 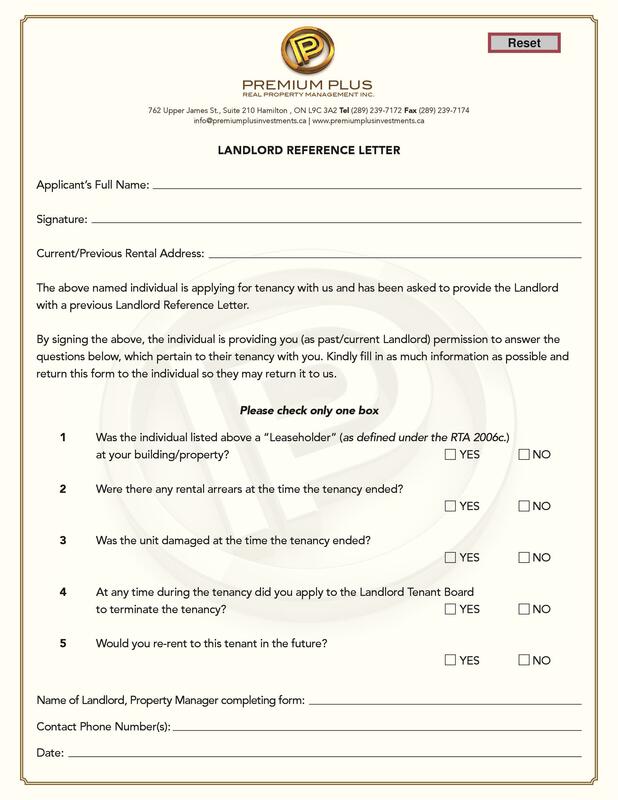 Once the future landlord has gone through your letter, then he/she can decide whether to rent out to the tenant. 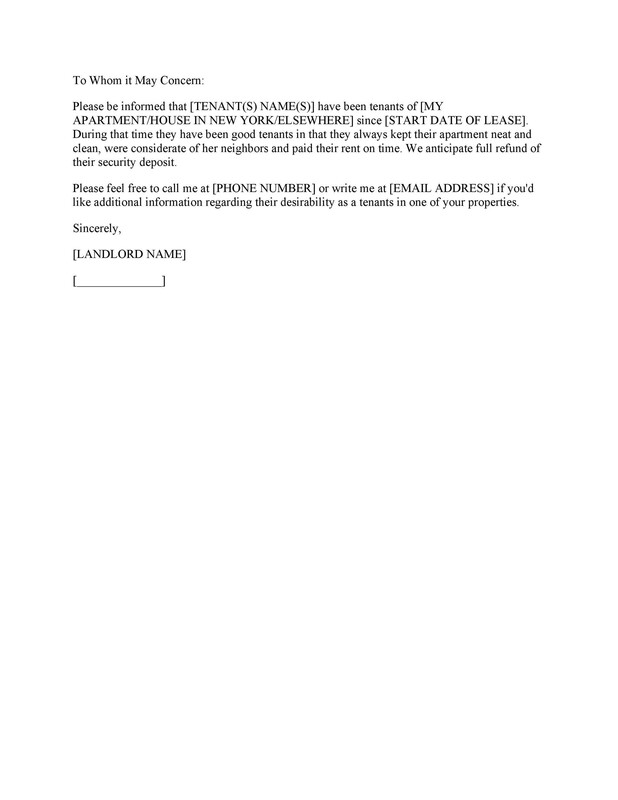 Aside from all the important information, the letter should also include the name of the tenant as well as the exact address of the rented property. Since the letter has no standard format, you can write it however you wish. You can look at different samples online or follow the tips which we’ve gathered for you (to be discussed further on in the article). As you are writing such a letter, you won’t need too much time and effort doing it. That is if you have all the information as well as some helpful tips. In this section, we will be talking about the important elements which your letter must contain. At the very top of your letter, you need to type in the date when you actually wrote the letter. This is important to write so that the reader will know that the letter is a current one. This is the most important part of the letter. You need to write the full name of the tenant, the exact address of the property which was rented and the start and end date of the tenancy. 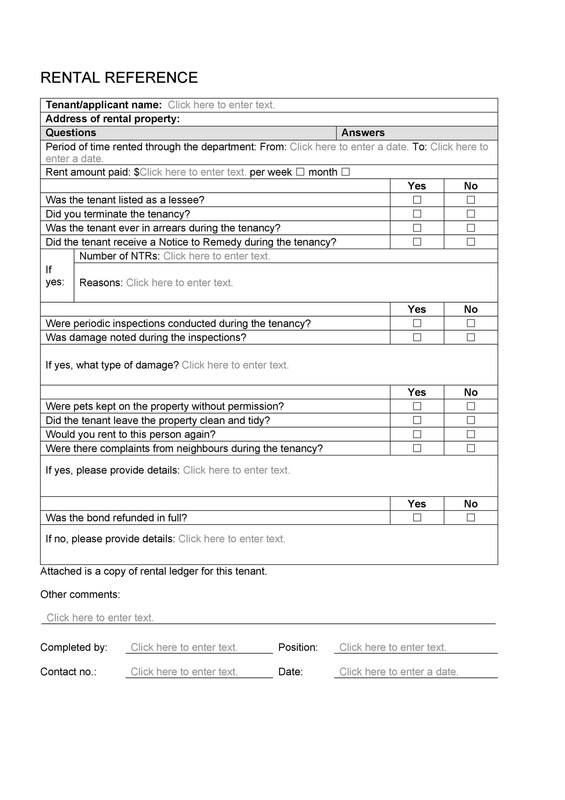 While the tenancy information contains the basic information about the tenant, the details on the tenancy will contain other relevant information. 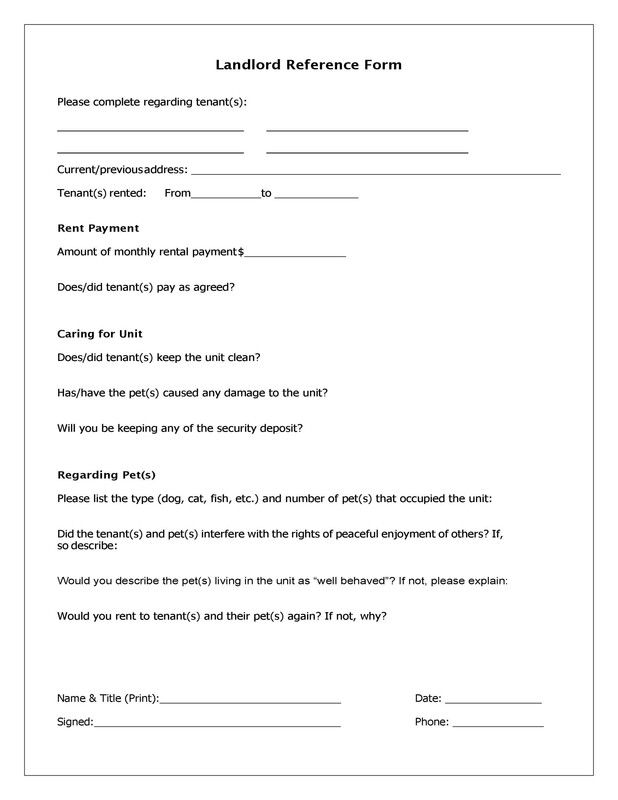 You have to state whether or not the tenant had made payments in a timely manner. If there were instances when the rent was paid late, you can give the reasons why and how the issue was resolved. Here you also write what the property looked like after the tenancy. You can share whether or not the tenant took care of and maintained the property he/she lived in. It’s important to use descriptive words in this section to convey your message well enough. It’s also important for you to discuss the behavior of the tenant throughout the whole period of tenancy, while remaining objective. You can discuss standout situations when you have interacted with the tenant as long as you think it’s relevant to the letter you are writing. 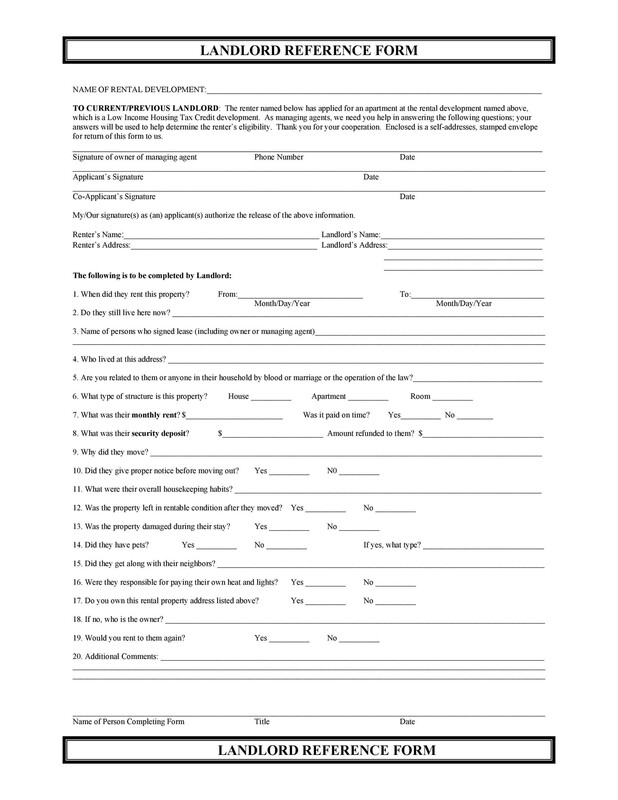 Make a summarization about the whole relationship you had shared as a landlord and tenant. 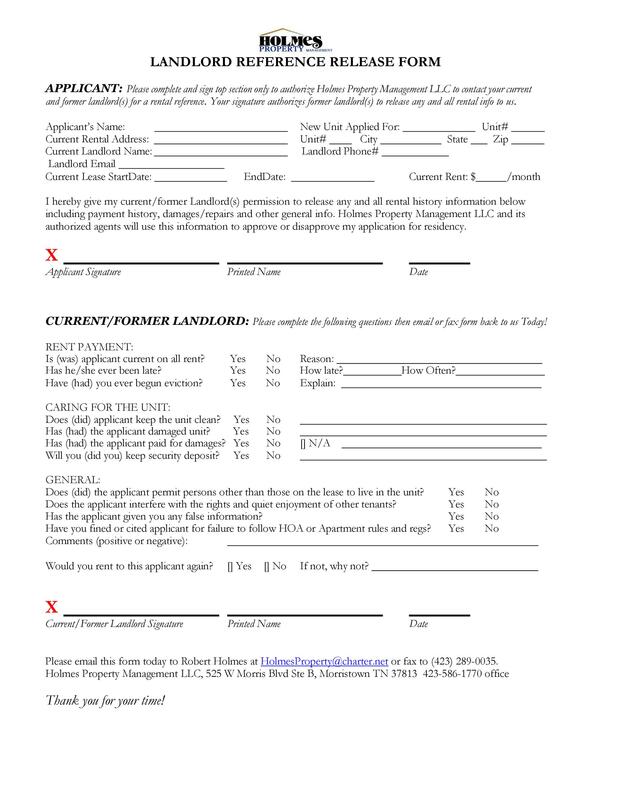 Also state whether or not you are willing to rent out to the tenant again if the opportunity arises. Finally, add in your own contact information and encourage the reader to give you a call or send you an email if there are any questions or if anything is unclear. Simple, isn’t it? As long as you have all the technical details on hand, such as the dates of the tenancy, then you will be able to write the letter easily. Next, let’s discuss some information about such a letter. If you are lucky enough to have a good tenant, then you won’t have a hard time writing a positive letter. But don’t try to sing praises too enthusiastically. It might give a wrong message to the reader. It might make the reader suspicious of your intentions of writing the letter. 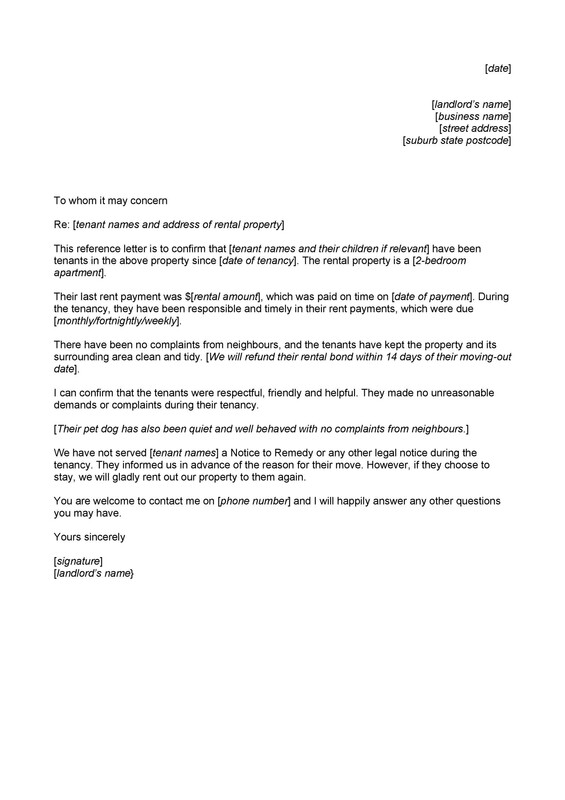 However, is it proper to write a letter about a tenant, which is negative? Or is rude, impatient and antisocial. In cases like these, it’s very tempting to write a negative reference or even a scathing one. However, that is NOT a good idea. When you write such a letter, it’s important to be objective and stick to the facts. So unless you have concrete evidence to support all the bad things you plan to write about your tenant, it’s more advisable to keep the negative comments to yourself. 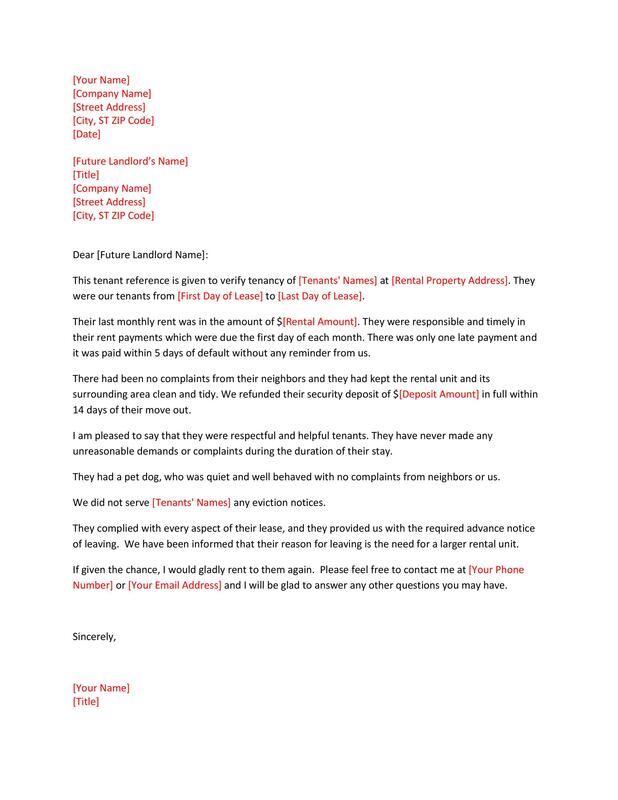 The problem is when you write negative references, the tenant can use the letter against you, especially if you don’t have proof to back it up. 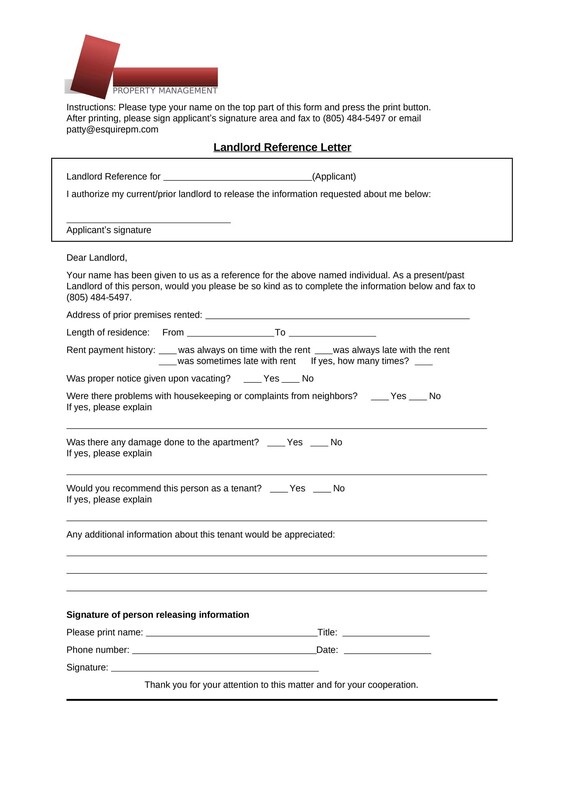 So in the case when you really cannot think of anything good or you had a really bad experience with the tenant, you can refuse writing the reference letter altogether. When thinking about good referencing, you need to find the right balance. When writing your letter, you should not be too overzealous nor should you be too robotic. Find the sweet spot in the middle which will make your letter a good read. Typically future potential landlords want to communicate with previous landlords to verify that the potential renter will be a good tenant. So when you are asked for a letter, make sure you know how to do it and all the content of your letter will be true. To help you out, here are some helpful writing tips for you. No matter what feelings you may have about the tenant, always be honest when you are writing a letter for reference. The truth is important and it should be present throughout your letter. 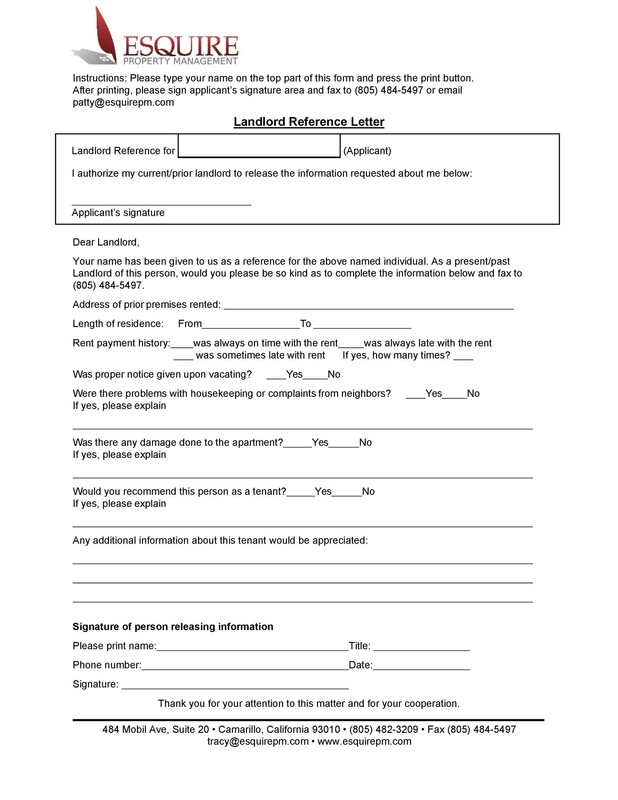 You may have to write details about the tenant, but never write them subjectively. Focus on the facts about behavior and all the facts which are related to the tenancy. 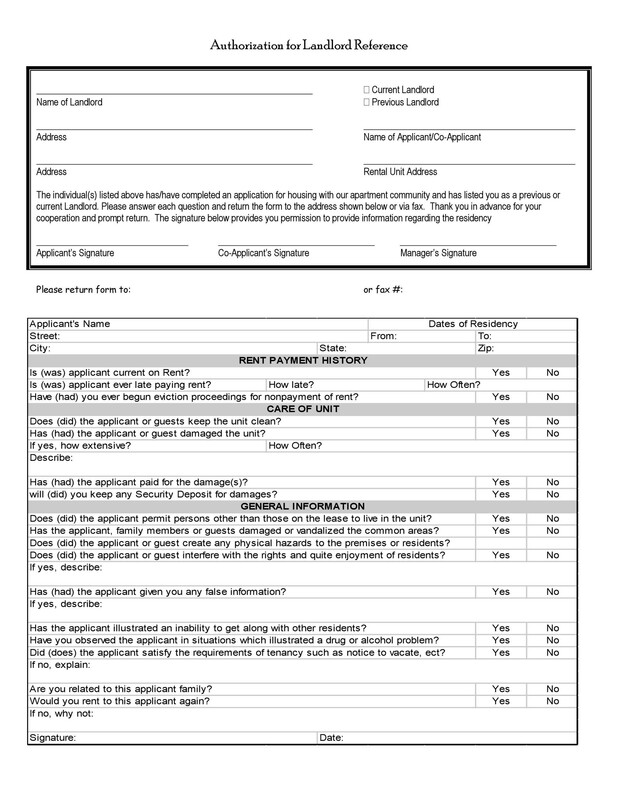 There is no need to mention the race, ethnicity, gender, background and other personal information about the tenant. These are not important and actually mentioning these things might raise issues. 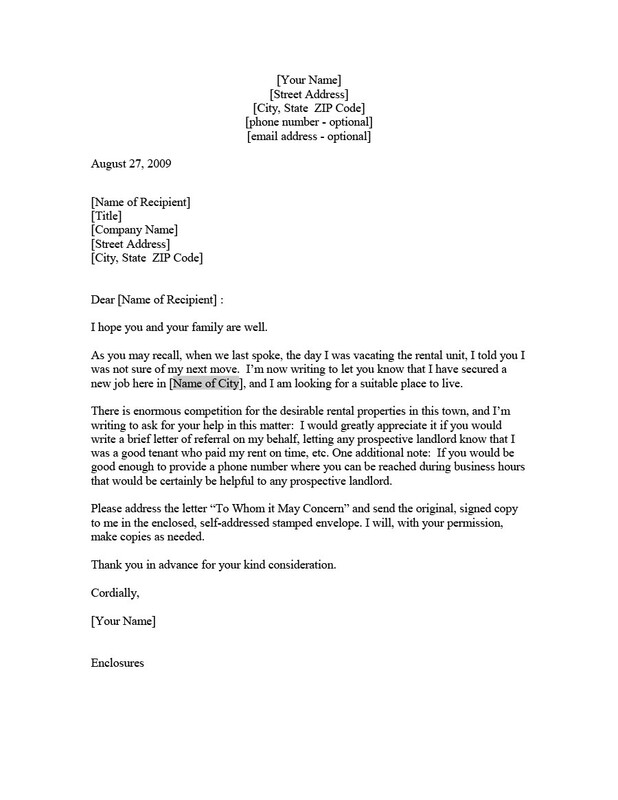 Though there is no standard format for such a letter, use a business letter template, even if the content isn’t as formal. These tips are simple, but they will really help you out when you are writing the letter. This is what we will go through next. Gather all the information you need for the letter. 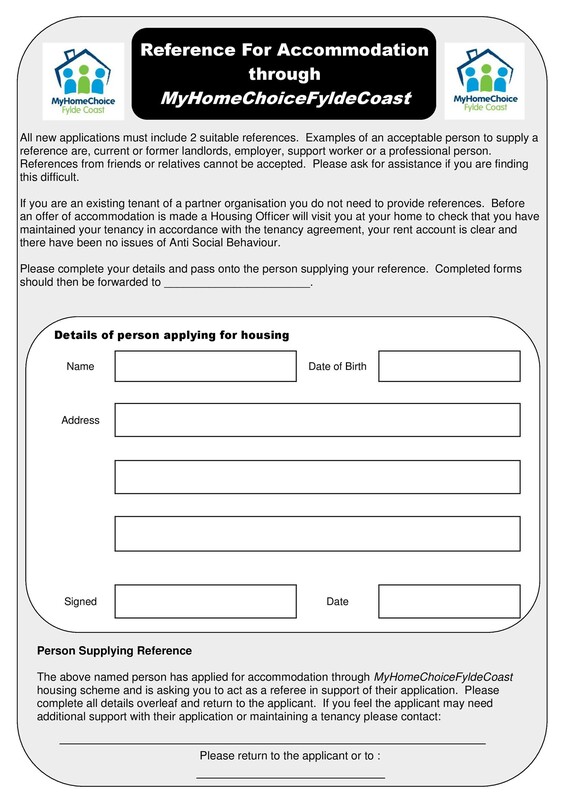 Confirm the start and end dates of the tenancy by referring to your agreement. Usually the potential landlord will want to know how long a tenant had stayed in the previous property. If you can’t find your agreement, you can also look through your bank records. 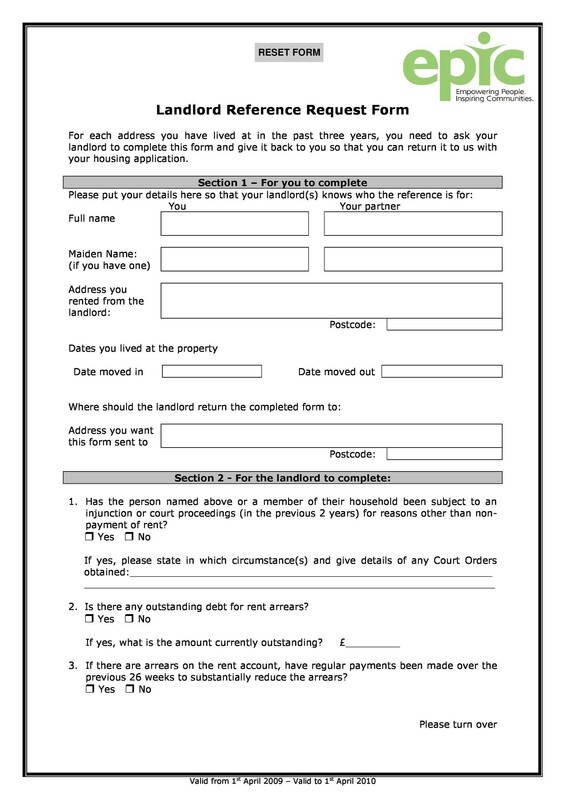 You will be able to see from there the start date when rent was deposited into your account. While going through you bank records, also note if and when there had been any late payments. If the tenant had rented for a long time, you may not remember if or when there had been any late payments. The bank records can confirm that. If there had been any late payments, try to remember whether the reasons were valid or whether you had to notify the tenant more than once. Check if there had been any complaints about the tenants from the neighbors. If there were, you should include that information in the letter. Talk about the complaints, how you had resolved them, and whether they were repeated. You also have to mention if there had been any complaints about the tenant’s pets. A lot of landlords are reluctant to rent to pet owners and if the pets had been the cause for the complaint, then it’s important to note this. Before writing your letter, do a check of the property. Whether it was left in good or bad condition, you have to state it in the letter. Also throughout the tenancy, try to remember whether there had been any damages and if there were, did the tenant report it to you. If the tenant is still living with you, then you have to ask the tenant to see the property first. Explain that it’s for the purpose of the letter he/she is requesting from you. As much as possible, try to avoid writing negative references. This might cause a lot of issues for you, even potential legal problems. 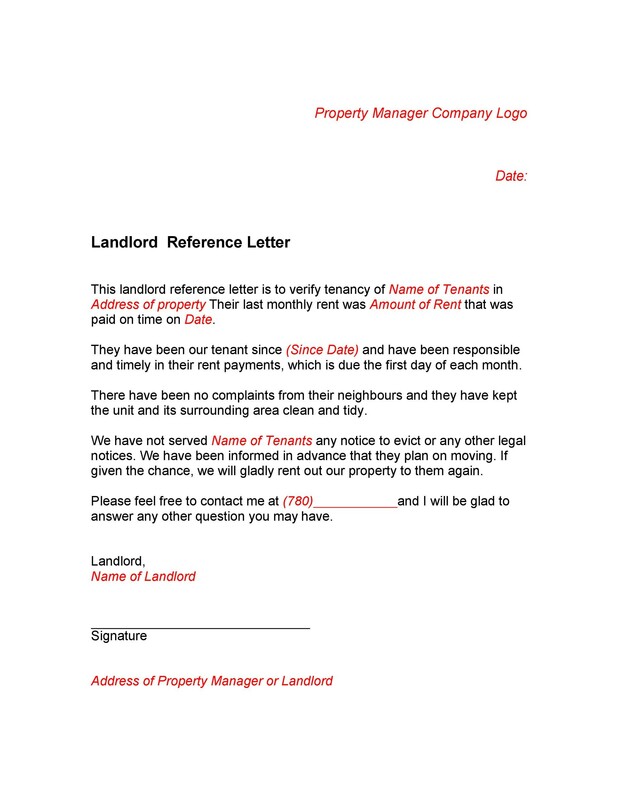 The tenant may use your letter as evidence that he/she wasn’t able to rent a property because of the letter you had written. If you don’t have anything good to say about a tenant and the tenancy, then it’s a better idea to refuse writing the letter altogether. 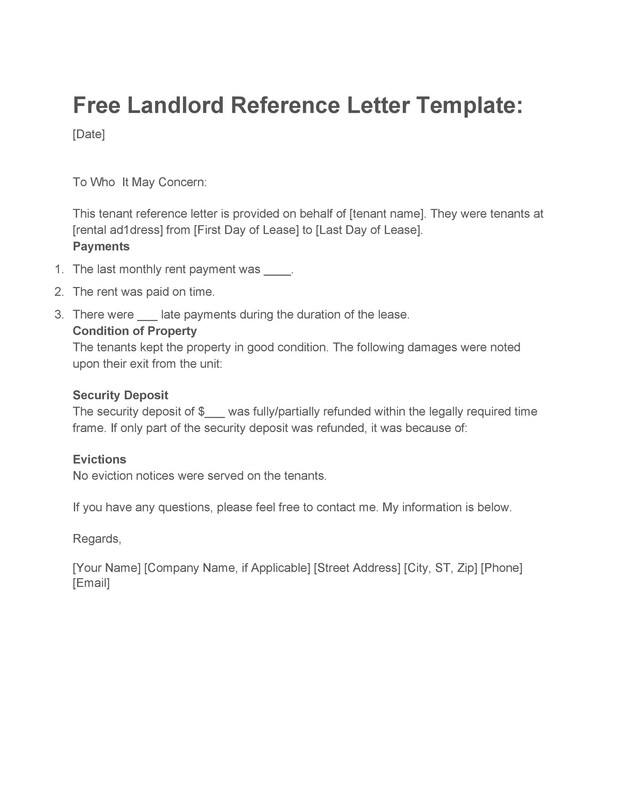 This is a better option because if you write a good letter for a bad tenant, then the landlord of the tenant can hold you legally responsible, using the letter as evidence. Once you have all these information on hand, it’s time to start writing your letter. Open the software of your choice and format the page. 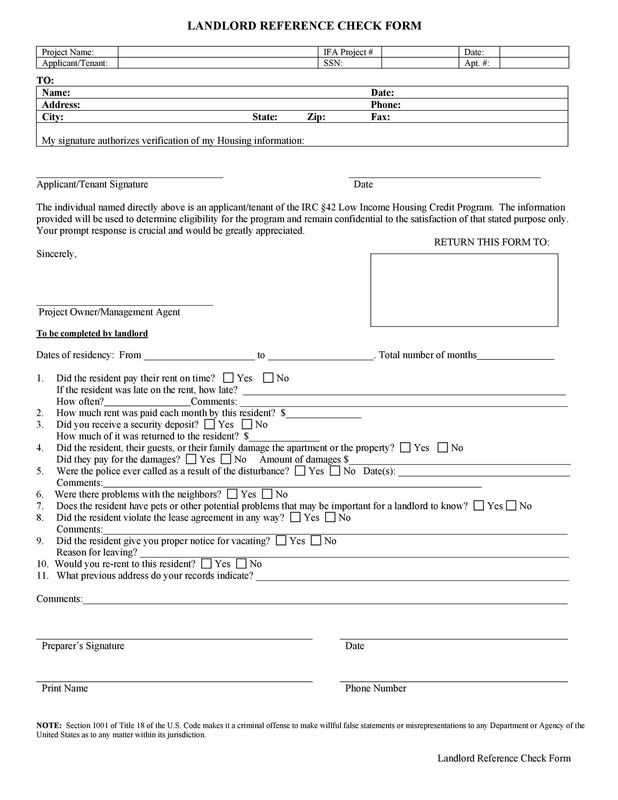 Set the fonts and margins as if you would a business letter. 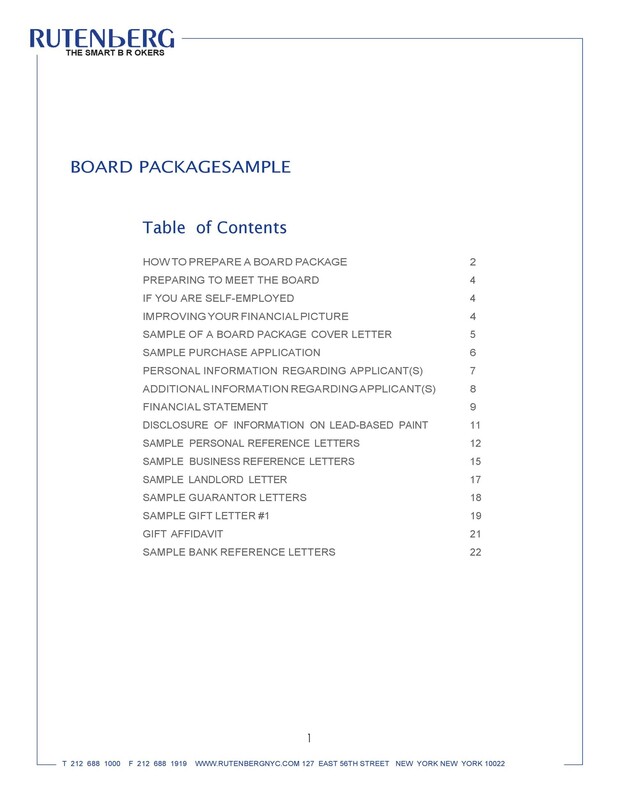 You can either print on a letterhead or type your address at the top of your letter before you start. Start with the salutation. Make it a general one if you don’t know who your letter is for. If you do know the name of the person, then you can write his/her name. After the salutation, you can go ahead and state all the facts you had gathered. 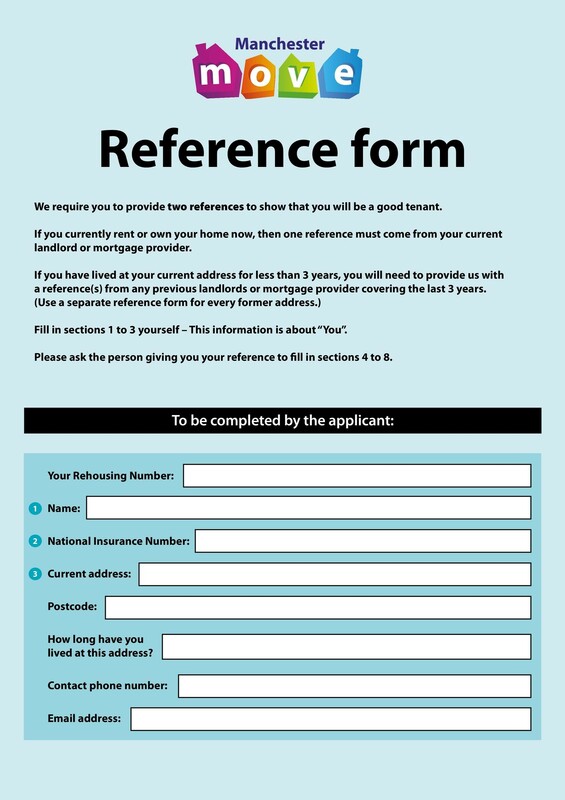 A reference letter from landlord doesn’t have to be a long one. In fact, the shorter it is, the higher the likelihood is that the reader will read the whole letter. You can write a short paragraph for each of the elements you learned about in the previous section of this article. Complaints aren’t necessarily negative – especially if there was a good reason behind the complaint and if the tenant had resolved the issue himself/herself. Then you can highlight this fact in favor of the tenant. After you’ve stated all the facts needed, place a statement which invited the reader to contact you if there are any questions. 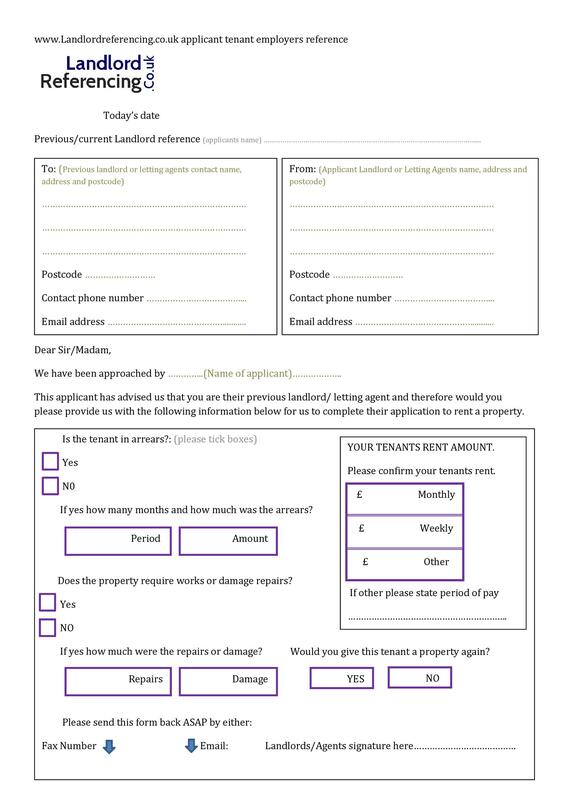 Give your own contact details so that the potential future landlord can contact you if any issues arise. You can give your phone number as well as your email address. Once done, close your letter. Include a closing, your name and be sure to insert spaces above your name so you can affix your signature once it’s printed out. 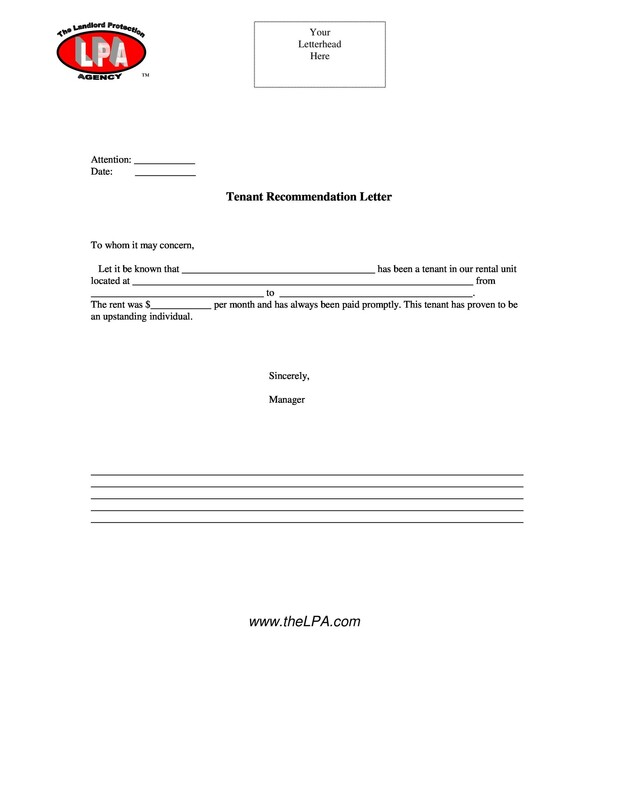 Once printed, sign the letter with a blue or black pen. Although it’s not a good idea to write negative references, it’s also not advisable to write a letter which is too positive. When you praise the tenant too much, potential landlords might suspect that your sentiments are fake and you’re actually trying to get rid of the tenant. Instead, try to be objective but in a positive way. Also as you are writing your letter, be honest. You don’t have to add any statements which aren’t true just to help out the tenant. Lying is never a good idea. Before printing your letter, proofread it more than once. Set it aside for a while then when you’ve had time to rest and rethink, go through it again. Then you can spot any missing words, misspellings and errors in grammar or punctuation. It’s a good idea to read your letter out loud – this is one way to find mistakes. When you’re sure your letter is correct, then you can print it out. 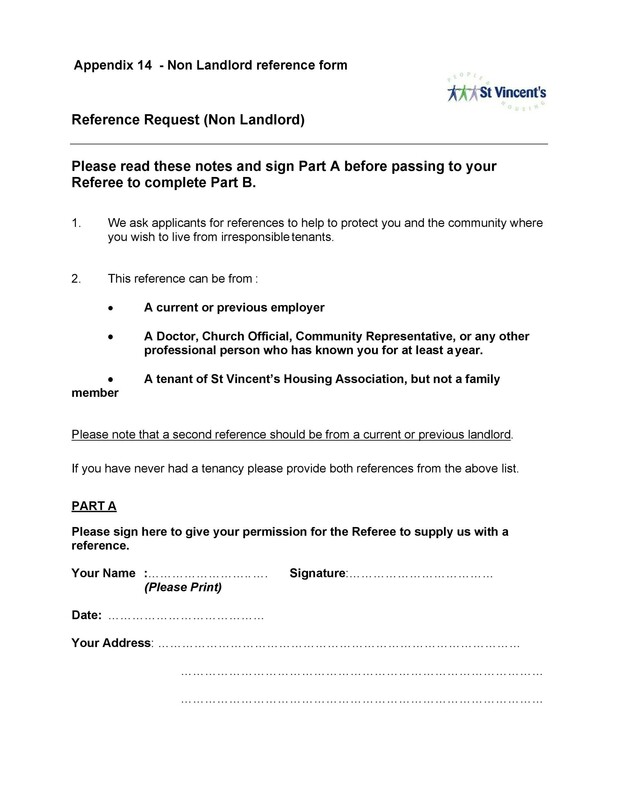 Sign the letter then mail it to the landlord or hand it to the tenant if that’s what he/she requested. Either way, make another copy of the letter for yourself and file it with your other property related documents. 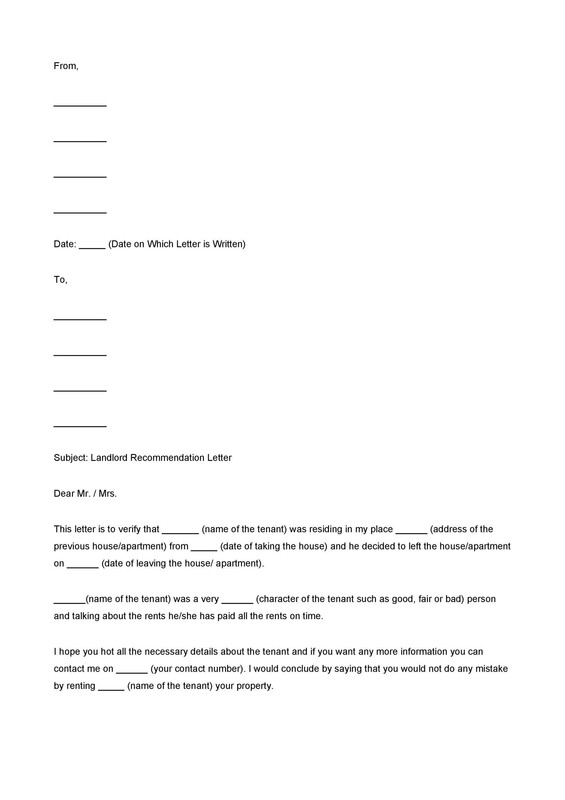 When you are writing the letter, also keep in mind that at one point or another your tenant will most likely read it. That’s why if there are any “negative facts” which are included, it’s better to show the tenant beforehand. Then you will have a chance to discuss why those points are in the letter. There you go, steps and tips to guide you as you are writing the letter. 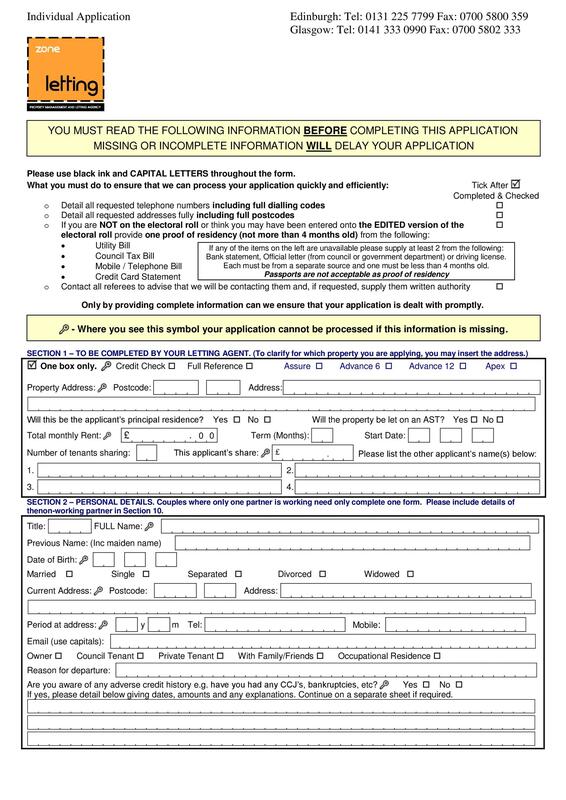 Now there are times when you will have to fill up a form instead of making a letter yourself. 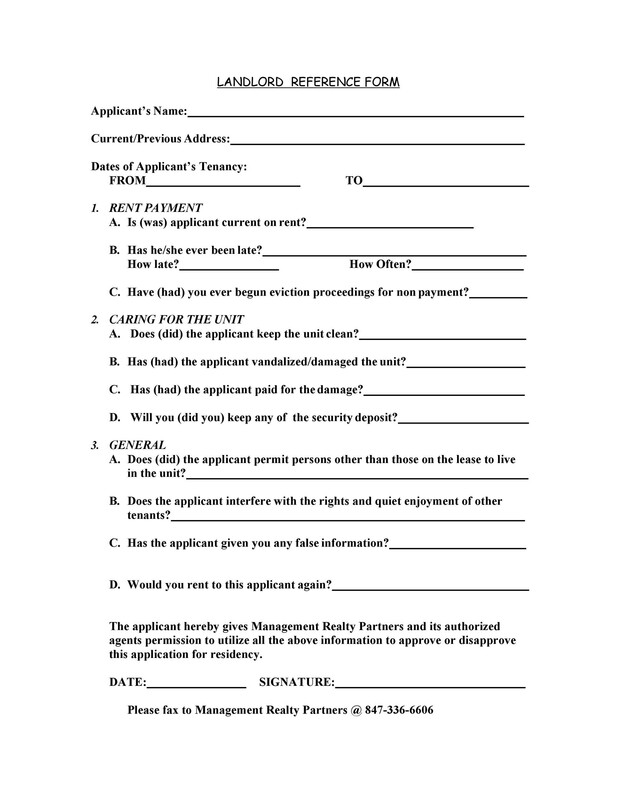 In cases like these, you need to know what the form contains so you can prepare for it. 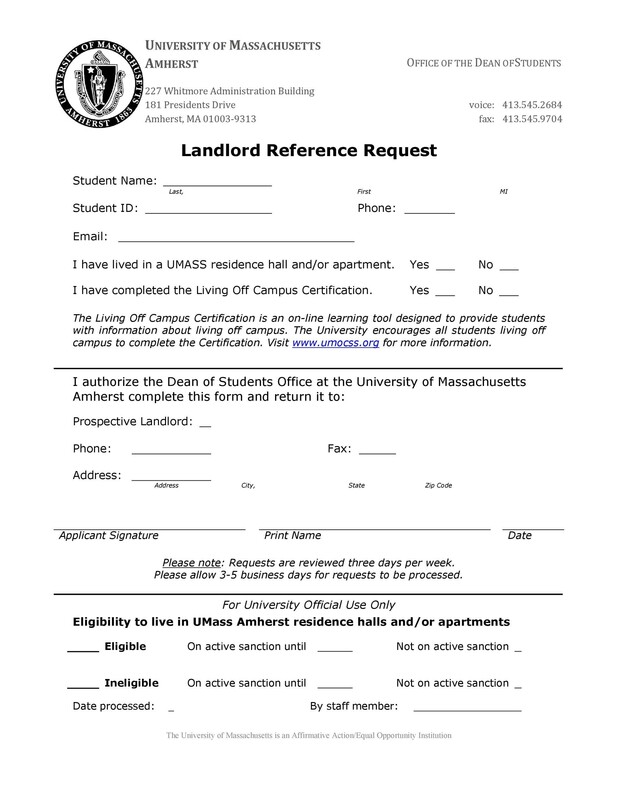 What Do a Landlord Reference Forms Contain? The name, address and contact details of the landlord. The contact details are the home number, mobile phone number and email address. The address of the apartment or home which was rented out by the tenant. The dates the tenant had lived in the apartment or home. Start date and end date must be indicated. Whether the tenant gave prior notice before moving out. The amount of rent the tenant paid for each month. 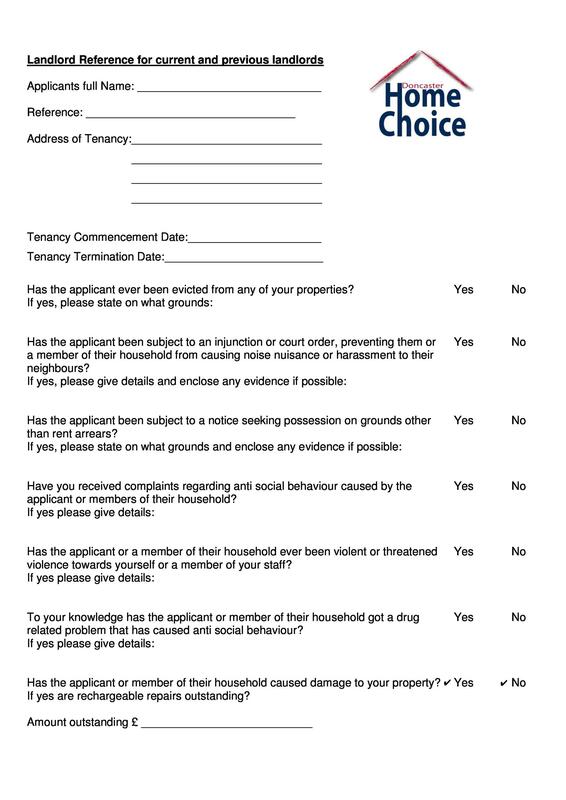 Also a question whether the tenant still owes the landlord any back rent. 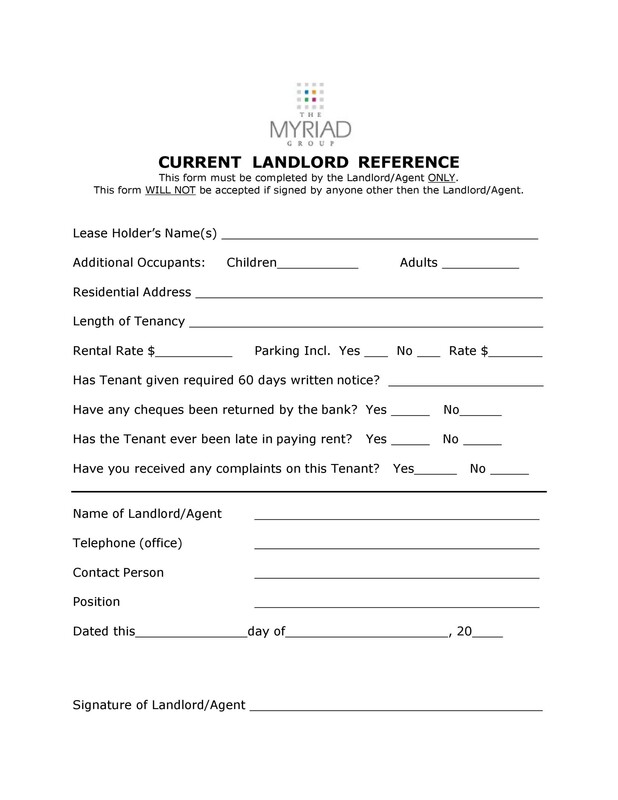 Questions on how well the tenant maintained the cleanliness and upkeep of the rented property. Whether or not the tenant let any unauthorized people live in the rented property. 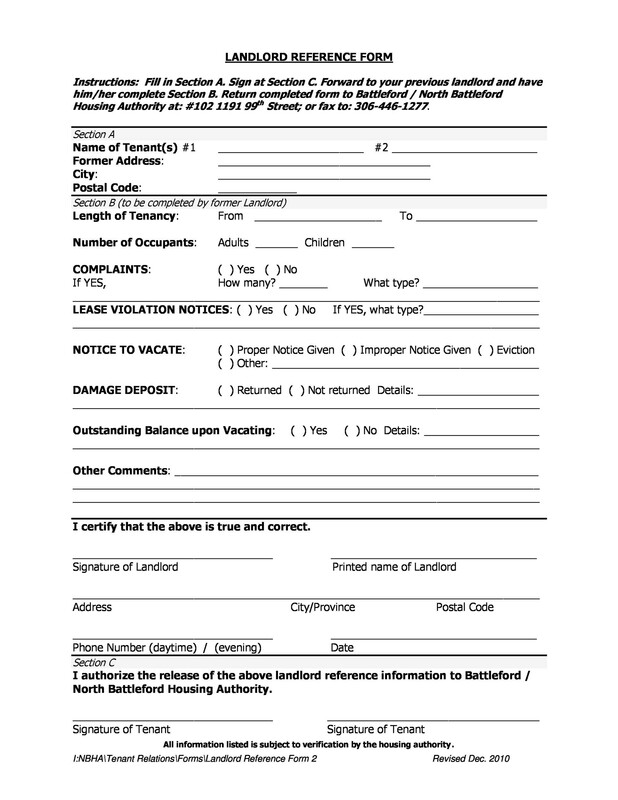 Whether or not you received any complaints from neighbors about the tenant. If there were any complaints, you may have to elaborate on it. Whether or not there was any damage to the structure or the contents of the rented property while the tenant was living in it. If there were, did the tenant inform the landlord or not? Whether or not the security deposit was returned to the tenant. If not, you have to explain why. Whether or not the tenant owned any pets which lived inside the rented property. Whether or not the tenant followed or initiated any pest prevention or pest eradication procedures. Whether or not you will agree to rent to the tenant/s again. If not, you may have to give your reasons why. 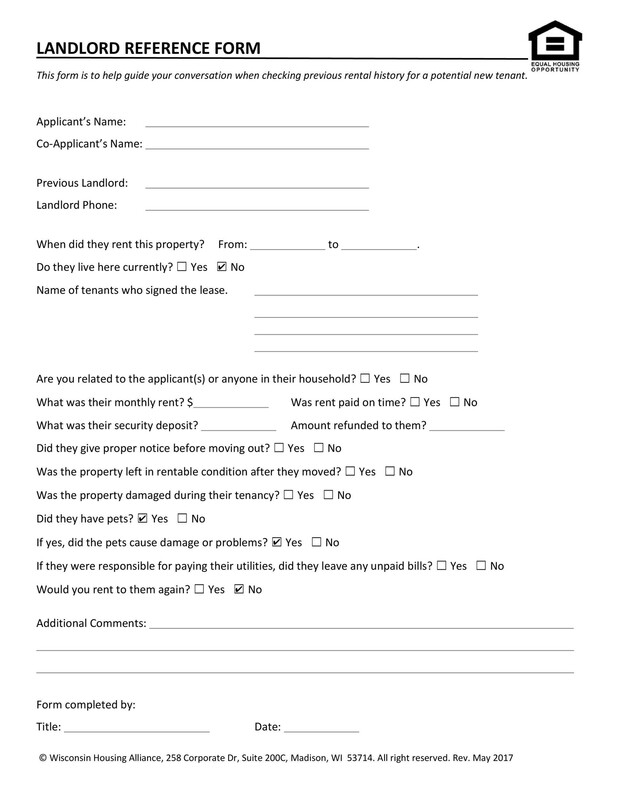 Then at the end, you have to affix your signature as the landlord to make the form official.